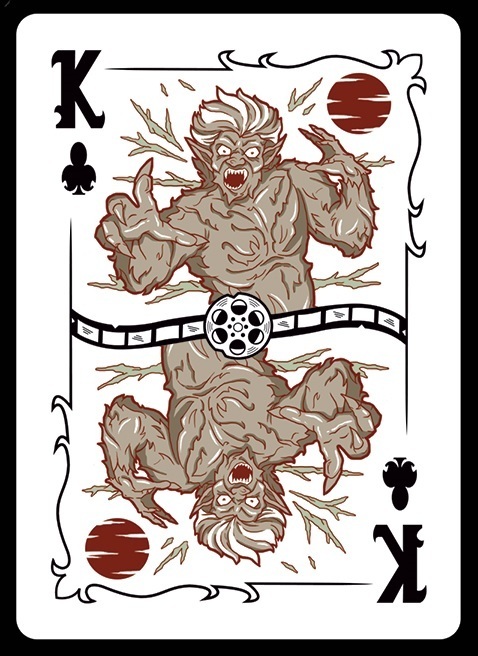 I have known Scott Carey for a long time as he is the responsible of TuckCase.com, a fantastic friend website dedicated to spread the voice about playing cards. 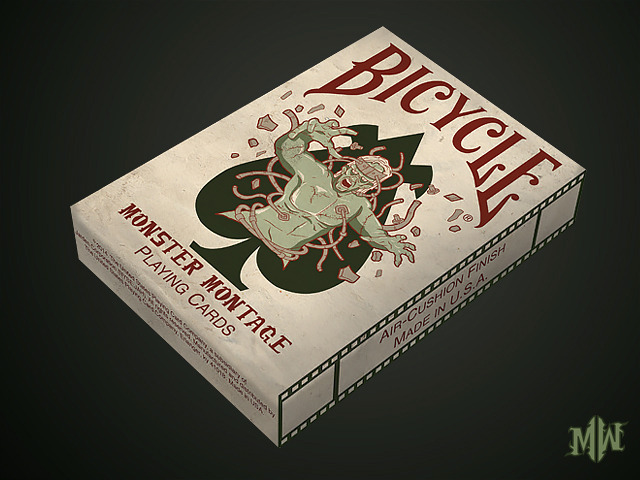 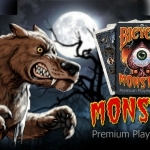 Nevertheless, I am not going to talk just about him and his website, but about his new venture on playing cards: Monster Montage Bicycle deck. 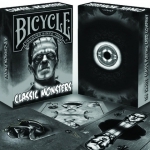 This deck, inspired of vintage horror films, has been designed by Carlos Bercini that has made a great job reinterpreting the classic monsters to show the atemporal terror cinema and capturing its vintage atmosphere. 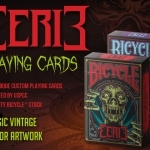 The deck will be a limited printed run by the USPCC under Bicycle brand. 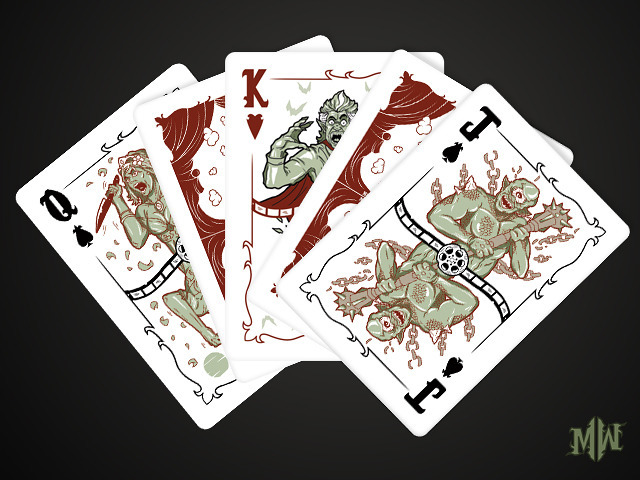 Scott has invested his illusion and his money to produce this cool deck. 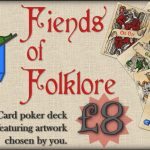 He was sharing his ideas with some friends and one of them, Rebecca, even pulled out money to help him to pay the artwork. 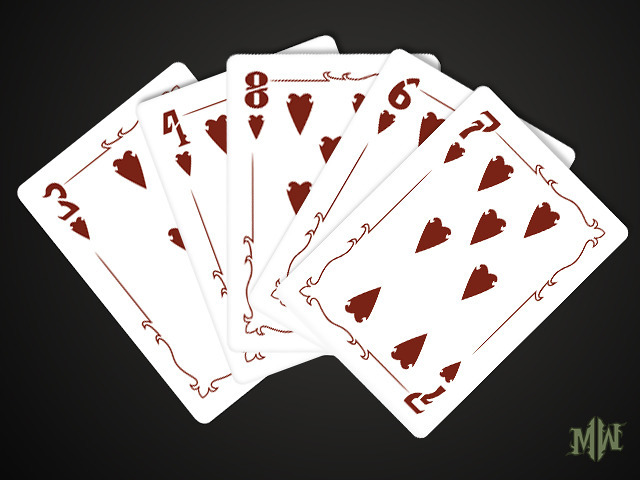 All of us that live the passion for playing cards and dream on creating our own deck know how this support would make us feel. 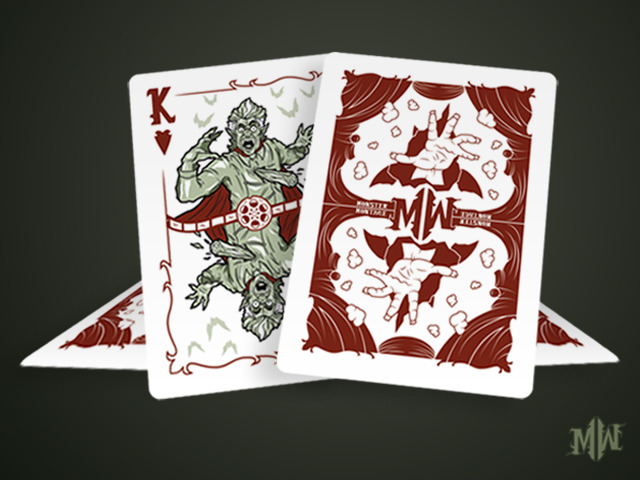 Now, it is your turn to make this dream happen so go to the project website, enjoy the deck and its story and raise your pledge to get it funded.